Jeri Smith-Ready: Morgan Keyes and DARKBEAST (with giveaway)! Morgan Keyes and DARKBEAST (with giveaway)! I'm super excited to introduce you to a fabulous new middle-grade author--Morgan Keyes! Her first book, Darkbeast, features a strong heroine who defies her society's conventions to stay true to her lifelong companion, who happens to be a none other than a raven. I had the privilege of reading Darkbeast last month, and I fell in love with Keara and Caw and their fascinating story. Though it's a middle-grade, it's also most certainly a book for those who love my Aspect of Crow fantasy series. The world-building is top-notch, the main characters have to make hard choices, and of course: there are animals! Morgan is giving away a copy of Darkbeast to one lucky reader today (US and Canada addresses only), so please welcome her to the blog! Many thanks to Jeri, for allowing me to visit and tell you about my middle grade fantasy novel, Darkbeast. Due to the generosity of my publisher, Simon & Schuster, I will give away a copy of Darkbeast to one commenter chosen at random from all the comments made to this post by 11:59 p.m. EDT Monday night. In Darkbeast, twelve-year-old Keara runs away from home rather than sacrifice Caw, the raven darkbeast that she has been magically bound to all her life. Pursued by Inquisitors who would punish her for heresy, Keara joins a performing troupe of Travelers and tries to find a safe haven for herself and her companion. In many ways, Darkbeast is the exact same story as Jeri's Shade series. But both Darkbeast and the Shade series are about ways of seeing the world. Aura and all the other teens born after the Shift literally see the world differently than adults do – they see ghosts that are invisible to older people. Similarly, my heroine Keara sees the world in a way that sets her apart from her mother (and from her sisters and from just about everyone else she knows.) Keara sees a world where she loves her darkbeast, even though her bonded raven companion knows the absolute worst things about her – her most evil thoughts, her absolute worst deeds. Most people shy away from bad memories, from the confirmation that they could have acted better, they could have done more. Most people struggle to fit into their society, doing everything they can to be a happy, healthy, integrated part of the whole. But where's the fun in that? More to the point, where's the fun in reading about that? Keara breaks the rules – the very first section of Darkbeast is entitled "Rebellion". Keara's rebellion costs her a lot – family, friends, the comfort of living and working in a familiar world. But in exchange, Keara gains an entire new world. She travels to new places and sees new things that she only has only imagined in the past. And if her unique vision, her special understanding of the facts places her directly in harm's way, then maybe – just maybe – it also gives her the keys to her own salvation. All of her adventures grow out of the different way that Keara sees the world around her. What about you? Are there things that you see completely differently from other people in your life? Morgan Keyes grew up in California, Texas, Georgia, and Minnesota, accompanied by parents, a brother, a dog, and a cat. Also, there were books. Lots and lots of books. Morgan now lives near Washington, D.C. In between trips to the Natural History Museum and the National Gallery of Art, she reads, travels, reads, writes, reads, cooks, reads, wrestles with cats, and reads. Because there are still books. Lots and lots of books. 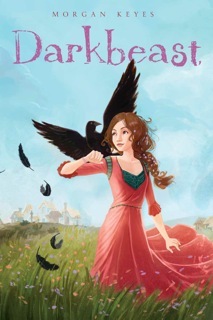 DarkBeast seems wonderful and I do enjoy a good middle-grade book, hope I get a chance to read it. Who can say no to a book with animals in it? :) I'm looking forward to getting a chance to read it. I agree about texting and cell phones. My phone makes phone calls - that's it. No Internet access, no camera, no calendar. I just recently enabled texting because my sister wanted to reach me that way if she needed to. I think I've sent maybe 5 messages. I really like the idea of Darkbeast. Malvina - Thanks for your kind words! Morgan, looking forward to the random number drawing at the end of this contest! This sounds like a book right up my alley and I'm always looking for good "tween" books to recommend to my friends' kids. what a lovely book! I love a good book with animals and it would be just great as I'm currently reading lots of middle grade. as for cell phones...I actually managed to stay one whole week without. It made me realize how much I rely on technology. pretty sad. 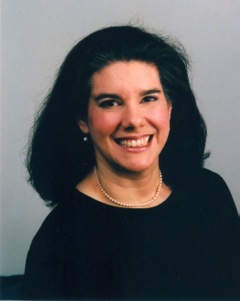 Judy - Thanks for the kind words -- DARKBEAST is a perfect tween book! Reading mind - I just spent a week on vacation, without cell phone access and with limited wi-fi. I'm more wired than I thought I was, judging by how hard it was to do without! Evrythgcnhapn - S&S will send books to the States and to Canada, so you're included in the contest! And Judy - you're the winner, according to the Random Number Generator! Congratulations! SHADE named a hot, smart read by the Atlantic! Update on Zachary's novella "Shattered"